This year I've made these cute red and white gingham bunnies! I love the way the clothes turned out. 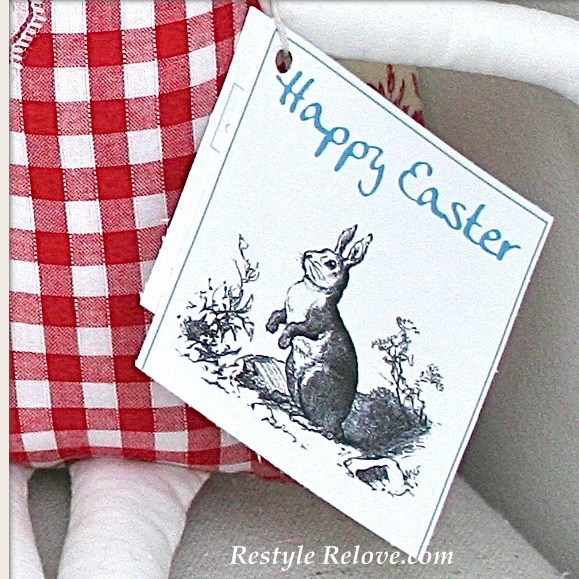 I also made the gift tags using a black and white bunny image from The Graphics Fairy. I love how they turned out too! Those are so sweet.I love that gingham outfit on both.And that tag is the perfect finishing touch. These are so cute. So whimsical! Thanks for sharing at Handmade Tuesdays. Wow these are so adorable! We've chosen to pass on the Versatile Blogger Award to you! Come check out our post at Bringingbeauty.blogspot.com to find out more! 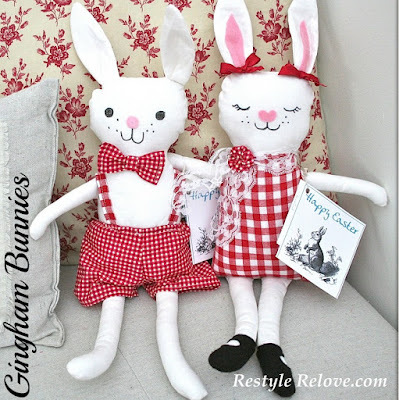 I just posted a Craftivism Challenge on my blog related to stuffed bunnies. Please come by and check it out! Adorable bunnies! Just to let you know I featured you on homework today! These are simply precious! We adore bunnies around here! Thank you so much for sharing at Uncommon!